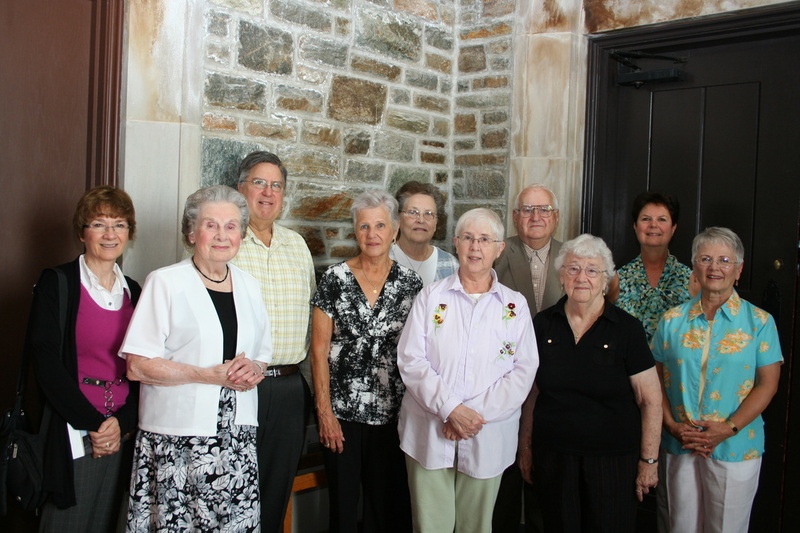 Caring Friends is a ministry of outreach to home-bound members of St. John's and their families. It has been created as an opportunity to reach out to those who can no longer participate in the many worship and fellowship opportunities offered as a church body. This ministry includes some of the services already in place but is being expanded into areas not currently served. Caring Friends is charged with maintaining contact with home-bound members and their families through personal contacts from members of St. John's. Phone calls, mail, personal visits, prayer, communion and referral to resources that can be helpful to the people served are used. This outreach is an essential part of the mission of our church as we DARE to LIVE THE STORY. We are always looking for additional Caring Friends to help in this ministry. Do you have an hour a week to participate in this ministry? Below is our statement of mission. Does it fit your schedule, abilities and talents? Maintain contact by sending cards, church bulletins and newsletters and Bible study resources. Make and receive telephone calls and/or emails. Provide information and referral sources. Transport and assist as needed when possible. Visit and provide spiritual support. ​410-665-1234 or through email office@stjohnsparkville.org.